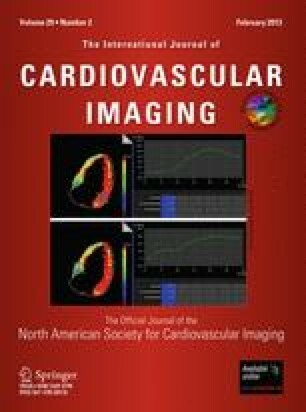 To evaluate for the first time the degree of compliance between conventional multislice computed tomography (MSCT) and three-dimensional rotational angiography (3D-RA) in measuring relevant dimensions of the aortic annulus, the aortic root and the thoracic aorta in patients undergoing TA-AVI. Twenty-seven patients (82 ± 11 years) with severe aortic stenosis received contrast enhanced ECG gated MSCT prior to TA-AVI and intra-procedural rotational angiography. The aortic annulus size, the distance to the coronary ostia and diameters of the aortic root and the thoracic aorta were measured with both methods by two observers blinded to each other. Linear regression and Bland–Altman analysis were performed to determine the degree of compliance between both methods. The limits of agreement were within two standard deviations for all measurements and with high correlation especially for the supra-annular dimensions. Sizing of the aortic annulus revealed lower interobserver variability for MSCT than for 3D-RA with a maximum deviation of 2.1 ± 2.5 and 1.7 ± 2.8 mm for diameter measurements and for the effective diameter, respectively. With current protocols intra-procedural 3D-RA provides good image quality especially for structures above the aortic annulus. Due to a lower interobserver variability in sizing the aortic annulus MSCT remains more suitable for aortic root assessment prior to TA-AVI. Lukas H. J. Lehmkuhl and Konstantin von Aspern contributed equally to this study.